Check back in the weeks ahead for an updated list of ACCESS 2018 supporters. 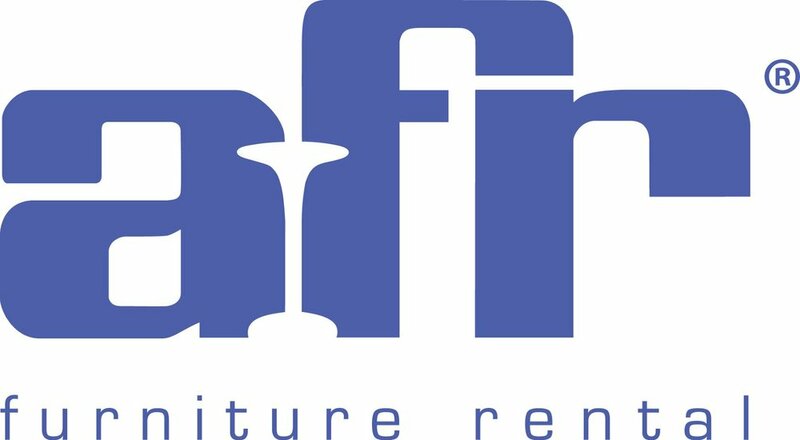 By blending functionality with design and providing excellent service, AFR® Furniture Rental has created a different experience for the discerning trade show client. AFR brings industry expertise, committed partnership and unparalleled service to every project with a team of 700 professionals and 27 distribution centers filled with quality furnishings. Headquartered and made in the USA, Agam is the largest wholesale, aluminum-based exhibit manufacturer in the US. With over 100 extrusions plus our tool-free, NEXUS panel system, combined with the best equipped plant in the industry, we can realize practically any design. Modular or custom, our turnaround times are unmatched. Aluvision develops and manufactures a light weight, modular exhibit system. Besides the recognizable wall frames ‘with holes’, Aluvision offers a wide range of SEG fabric, hanging signs and LED lighting products. It’s state-of-the-art production facility in Atlanta, GA guarantees short lead times and high-quality products. The Aluvision system is available for purchase and for rent. Whether looking to rent audio visual equipment or require full production services, AV Matters is your best choice in the AV/Production industry. Conferences, Trade Shows, Galas, Benefits, Sales Meetings and Incentive Trips are all part of our professional portfolio. Our staff has amassed over a century of production, meeting planning and technical experience which translates into a professional and stress-free experience. AV Matters is veteran owned and also employs veterans! Our global network of Audio Visual & Lighting equipment along with our experienced technicians and programmers give us the flexibility to work within virtually any budget. It also lets us offer you nearly limitless options throughout the production process. Our team will take your vision to heart and works as an extension of your own team to execute it seamlessly. We specialize in Creative LED and multi-display programming synching together lighting, sound & video to create experiences. We own the details & you own the show. Delivering style and service so your clients look their best, it’s why so many event planners trust CORT for their rental needs. CORT Events is the leading provider of furniture rentals for the meeting and events industry. Our national distribution, 24/7/365 service, and iconic, modern collections guarantee a successful show anywhere. CORT’s exclusive new products include the Danish modern Munich gray fabric sectional and mid-century modern Century velvet collection. CORT offers a full line of Powered products including the Tech Tablet Chair, Greenery, and the modular Endless seating collection; all designed specifically for the needs of meeting and event designers. Start your next meeting or event with confidence and visit www.CORTevents.com to experience our free online 3D space planning tool and explore the full product catalog. Or, contact a CORT solutions expert today at 1.888.CORT.YES to get started. 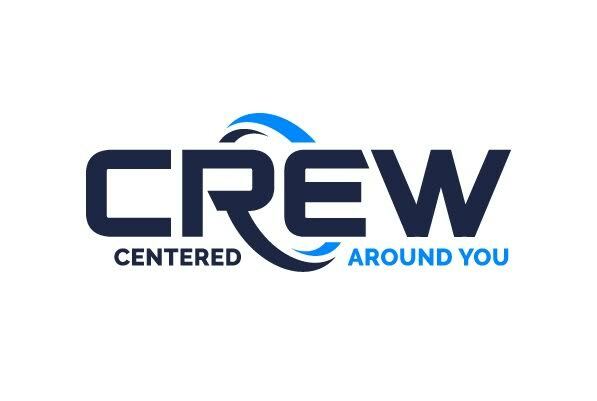 CREW is an unconventional service provider that designs and builds turnkey exhibit solutions for experiential agencies and exhibit house partners. Our carpenters, PMs, designers, delivery trucks, labor installers and large beMatrix frame inventory are all forward deployed in Orlando and Las Vegas for your competitive advantage. DSA Phototech is a leading US manufacturer of visual presentation solutions offering the most extensive selection of illuminated LED light boxes and digital signage on the market today. enVu is a full service interactive production company that designs and creates experience technology activations that attract, engage, delight and connect attendees with brands at trade shows, events and environments. Exhibit City News reaches the widest range of segments involved in the tradeshow industry and currently has a readership of 37,500 industry professionals. Exhibit City News covers meetings, events, venues, conventions and trade shows. Producers of the I&D ACE Awards, ECN informs and educates by being the voice for and from the show floor. ExhibitForce delivers an ERP solution for a business of any size with customized functionality to streamline operations and increase efficiencies. The result is more than 30% of Fortune 500 Companies worldwide trust ExhibitForce to drive results. ExhibitForce empowers 240,000+ global end users with greater business intelligence, across all mobile devices. EXHIBITOR is an award-winning monthly publication featuring best practices in trade show marketing. The industry leader in trade show and corporate event marketing education, EXHIBITOR is the founding sponsor of CTSM professional certification. 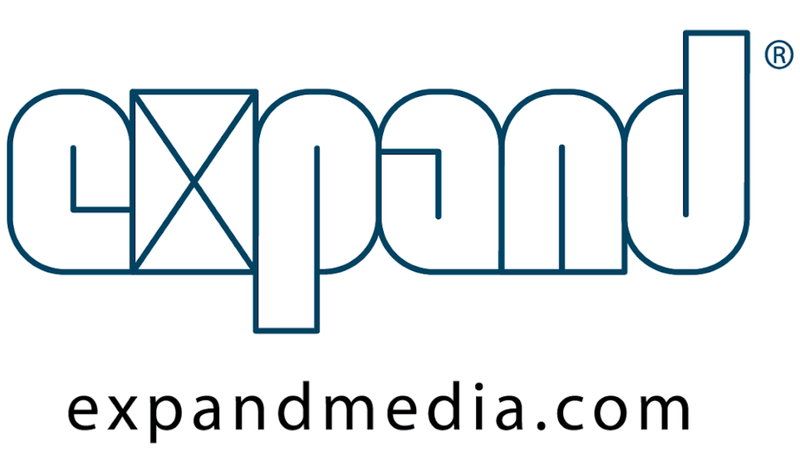 Expand is the world leading manufacturer of portable event displays for the trade show and special events industries. Our high-quality displays are easy to set up and most come with Expand’s lifetime warranty. We manufacture what we sell and work to the ISO 9001 quality guidelines. Our displays will make you stand out at your next show or event. ExpoDisplays is a leading designer / manufacturer of portable, modular and custom displays / exhibits since 1970. We set the industry’s pace in creative design and innovative new products and state-of-the-art manufacturing systems. ExpoDisplays “We build Images”. GetSynchronicity creates engagement strategies to attract target audiences, communicate brand stories and generate personally relevant participant journeys. From ideation to content development to onsite execution, GetSynchronicity aligns message, media and audience to create memorable brand experiences. Re-defining portable and mobile event spaces, Guerrilla Cubes offer an experiential marketing opportunity like no other trade show booth can. Our simple to transport, quick to setup, and easily customizable platform delivers optimum impact of consumer engagement consistently over multiple events. Hill & Partners was founded in 1995, created as an alternative to the traditional transaction-centered event management experience. Our goal is to deliver high-level design, production and account management services as a complete Branded Environment. We believe that this approach elevates the client experience within the fact-to-face marketing space. HitLights is a leading LED lighting supplier offering specialized products and lighting design consultation for your display and event projects. Contact us today with all your lighting needs! INDUSTRIOS provides Producers and Designers the tools to make insightful and informed business decisions. We leverage integrated software, workflow and advisory services to provide accurate and timely operational and financial information. Collaborative partnerships, simple to complex configurations, single source of the truth and so much more. Infinity breathes life into exhibition spaces by providing dynamic floor coverings that fit the unique personality of each booth space and gathering area. Made in America, Infinity Luxury Woven Vinyl flooring is heavy traffic rated, antimicrobial, fade resistant, carries a limited 10-year UV warranty and is low maintenance. Listed on the Mainboard of the Singapore Exchange, Kingsmen is a leading communication design and production group. Established in 1976, the Group has a network of 21 offices and full service facilities serving global clients in Exhibitions & Thematic, Retail & Corporate Interiors, Research & Design, and Alternative Marketing. Kingsmen’s seamless end-to-end solutions, through its vertically and horizontally integrated service offerings, coupled with its network of offices and partners, provide clients the benefits of flexibility, speed and value. Building on its design-led, quality and service-driven culture, the Group has established a reputation and visible brand that is synonymous with creative and innovative solutions. 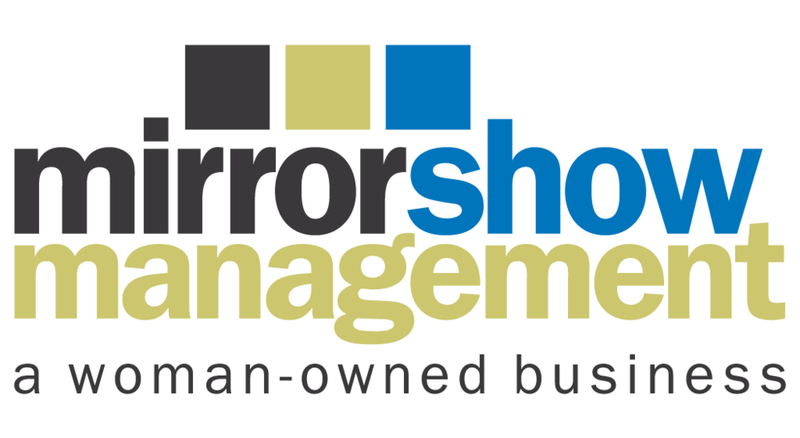 Mirror Show Management is an award-winning customer experience agency specializing in exhibits, environments and events. For over 25 years, our calling card has been creating custom solutions that solve our clients' biggest face-to-face marketing challenges, and our passion for service, quality and innovation shines through in everything we do. 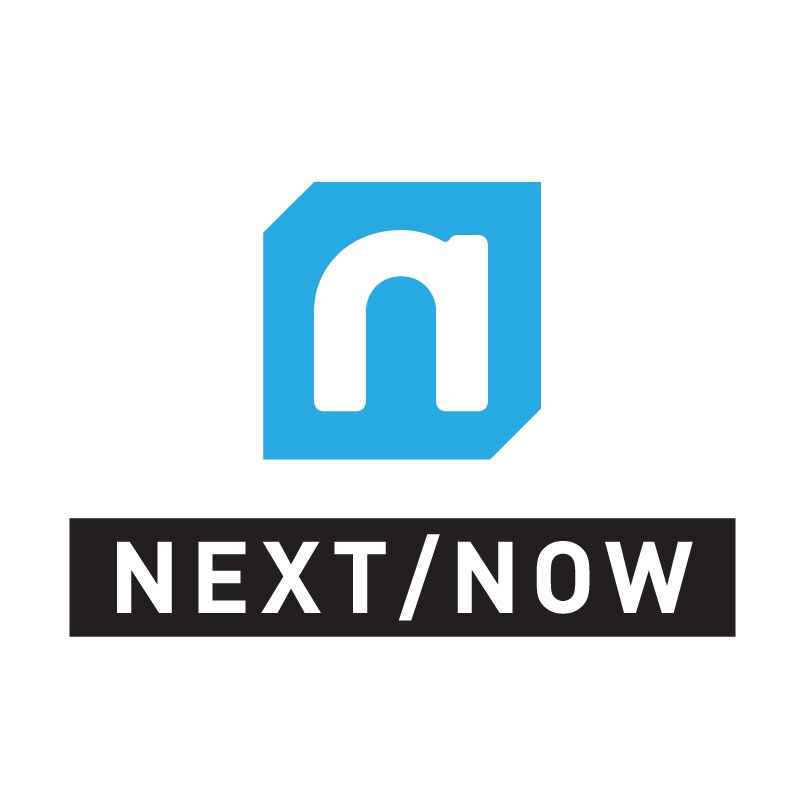 With a toolbox brimming with virtual and augmented reality, gesture, LED, holograms, facial tracking, multi-touch screens and more, award-winning NEXT/NOW connects people with brands in deeply immersive environments that dial up the “wow” factor. OCTANORM® provides ultimate build-ability. Environmentally friendly, functional & timeless. OCTANORM® recyclable products provide custom solutions for discriminating tastes. Olympus is a large-format printing company. We specialize in grand format dye-sub fabric, UV flatbed print and cut grand format solvent and latex printing, especially for exhibit and event industries. Optima’s wholesale only approach, paired with decades of Trade Show and Event expertise, make us the trusted source for bringing your vision to life. From concept to completion, we provide premiere portable, modular and custom displays. Our industry-leading printing capabilities and exceptional service help our clients to obtain, retain, and grow their customers. Oscar & Associates (OA) provides photography, videography and the Libris digital asset management (DAM) service to exhibit houses and exhibitors nationwide. OA, your full-service imaging solution studio. Padgett and Company provides detailed, dramatic and dynamic photography for exhibit clients worldwide. We are unique partner helping companies convey their message with a Vision that is Beyond Documentation. Prism Lighting Group™ is a leading manufacturer of customized lighting solutions for exhibits, retail environments, and special projects and offer a full line of innovative LED products. At PRO-PLAYER PLUS, we specialize in Media Control Systems for trade show exhibits, experience centers and events. Our Media Control Systems are available for rental and purchase. Technical services include design, gear spec, configuration, programming, install, show operation, training and consulting. Technology Solution Experts for Events. AV, IT, Video Walls, LED tiles, Touch-Screens, LED displays, Digital Signage, Charging Stations, e-Literature Solutions, iPads, Mobile Event Apps, Registration, Badge Printing, Session Tracking, more. TWI Group is the premier specialist in domestic trade show shipping, international trade show shipping, and exhibition logistics. The TWI team has proven its ability at more than 15,000 exhibitions in more than sixty countries. TWI, Delivering First-Class Service Every Time.